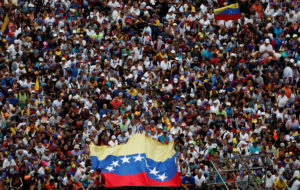 CARACAS, Venezuela — Thousands of Venezuelans filled the streets Wednesday accusing embattled President Nicolas Maduro of usurping power and joining the nation’s re-invigorated opposition movement in demanding he step down as the country reels from a crushing economic crisis forcing millions to flee or go hungry. Large crowds of protesters gathered in Caracas waving flags and chanting “Get out Maduro!” in what was shaping up to be the largest demonstration since a wave of unrest that left more than 120 dead in 2017. “Venezuela is reborn on the streets today, searching for freedom and democracy,” Juan Guaido, the 35-year-old opposition leader who has sprung into the limelight since taking the helm of the opposition-controlled National Assembly, declared on Twitter. 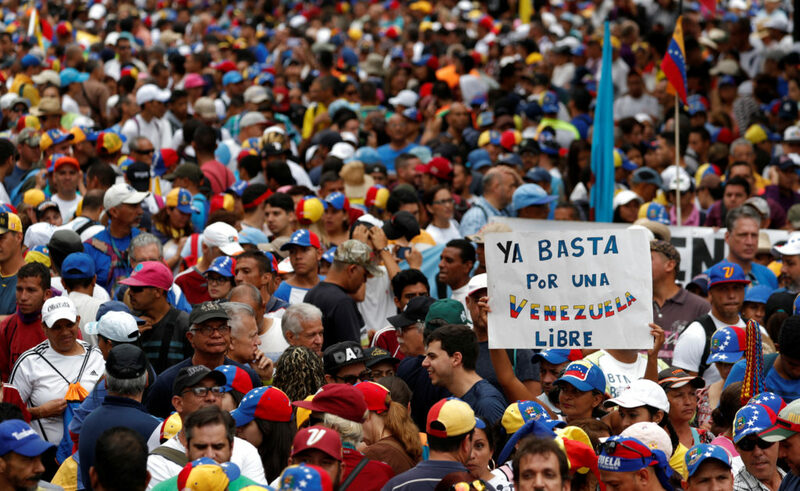 The protest is considered a crucial test for the opposition as it seeks to send a forceful message that Maduro no longer has the people’s backing and appeals to the military and the poor to shift loyalties that until recently looked solidly behind the president. The protests were called to coincide with an historic date for Venezuelans — the anniversary of the 1958 coup that overthrew military dictator Marcos Perez Jimenez. In the run-up to Wednesday’s protests, the defiant young lawmaker crisscrossed Caracas attending outdoor assemblies known as “Open Cabildos” — for the revolutionary citizen councils held against Spanish colonial rule — pumping up crowds by arguing that Maduro must go for democracy to be restored. Driving the crisis was Maduro’s decision to ignore international opposition and take the presidential oath for a second term widely considered illegitimate.